Parisian parties will transport you to the city of lights where love, romance, and fine wine abound. An enchanting place where a culture steeped in history blends seamlessly with contemporary art and high fashion. Stroll down the champs-Elysees Avenue, sample french desserts at a patisserie, or steal a kiss under the Eiffel Tower. Yes, everyone hopes to visit Paris one day – it's the city that romantic dreams are made of – sparkling lights, breathtaking architecture, and of course, the food. Well, your friends may not be able to travel to France, but you can make their Parisian dreams come true by bringing La Ville-Lumiere to them. 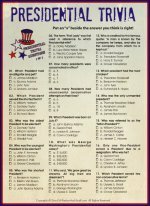 Create passports stamped for Paris and include the party details inside. Or, make a Postcard from Paris with a picture of a popular landmark on the front and the party information on the back. Don't forget to add a postmark and a stamp. Your Parisian party decorations may vary depending on your theme. An Afternoon in Paris - Recreate a street from the city including a French cafe complete with striped awning, intimate tables, and a standing sidewalk sign listing the specials of the day. 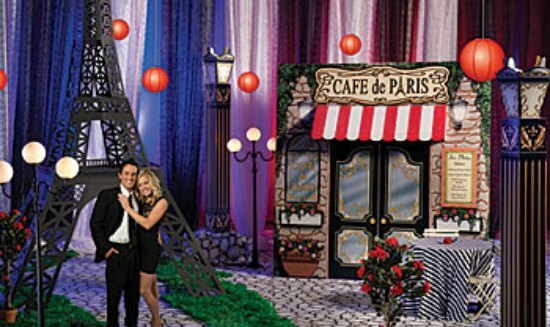 Use backgrounds or cardboard replicas of popular landmarks such as the Eiffel Tower or the Arc de Triomphe. Put a finishing touch on your “ambiance” with some authentic sounds from the Putamayo French Cafe CD. A Night in Paris Theme - Have lots of sparkling lights, lamp posts, votive candles, and vases of pink and white roses. A lighted Eiffel Tower, linen table cloths, and background music by classic French artists such as Yves Montand, Edith Piaf, or Charles Trenet will complete your atmosphere. French Bakery or “Patisserie” Theme - Who wouldn't want to spend an afternoon or evening sampling a variety of famous French pastries? Use a cheery pink and black color scheme, accent with some white polka dots, and set up bistro seating so guests can relax and visit while they are enjoying the delectable treats. Paris is known for its fashion so give your guests an opportunity to show off their best French looks by having a dress-up contest. Women can come in fancy dresses, feather boas, Dior handbags, and Christian Louboutin shoes. Or they can revisit bygone eras with exotic hairdos, overdone make-up, and a French parasol. Men can choose from striped shirts, scarves, berets, and maybe even a little black mustache. It might even be fun to assign a French name to each guest as they arrive so they can really get into character. Play a trivia game to test your guests knowledge of the city's culture, traditions, food, holidays, or architecture. Show a French movie such as Moulin Rouge, French Kiss, or Amelie. See how familiar your guests are with the language of love and romance by having them match French words with their English translations. Suggestions could include “c'est la vie”, deja vu”, “faux pas”, “je ne sais quoi”, and “joie de vivre”. Or, for an even greater challenge, have them identify famous French sayings such as “Il n'y a pas de fumee sans feu (Where there's smoke, there's fire), or “vouloir, c'est pouvoir” (Look before you leap). For a ladies only party, give each other French manicures and pedicures, or treat everyone to a special evening of pampering by bring in a esthetician to do their nails professionally. A scavenger hunt is always a popular activity. Have guests hunt for Paris-related items such as the Eiffel Tower, the Arc de Triomphe, a picture of the Mona Lisa, or a beret. For a younger crowd, choose games such as Parisian Bingo, Pin the light on the Eiffel Tower, or Pin the hat on the Patissier (pastry chef). Of course, your Parisian party must have a menu full of authentic French cuisine. Lunch - For an afternoon luncheon serve Quiche Lorraine or sandwiches and dips made with baguettes and croissants. Dinner - If you will be having a sit down dinner, choose some popular French dishes such as Coq au Vin or Ratatouille. Dessert - Of course, no visit to Paris would be complete without a large sample of their famous desserts. Whether the sweets will be complementing a meal or serving as the main menu for a French Bakery themed party, guests will be sure to love an assortment delectable French delicacies. Creme Brule, Tarte Tatin, eclairs, souffles, macaroons, madeleines, cream puffs, and melt-in-your-mouth mousse are all guaranteed to be the center of attention at any Parisian Party. Commemorate your visit to Paris with a special souvenir that will conjure up good memories about your time in the City of Lights. Give guests Eiffel Tower key chains or candle holders, a box of delicious French chocolate, berets, or a travel sized bottle of Paris-themed perfume or body lotion. Put a French manicure kit in a little suitcase shaped box and write a “thank you” on an Eiffel Tower luggage tag. Or, give everyone their own copy of one of the French CDs you played at your party. Begin planning your Parisian Party today so your guests can be swept away to the romance, history, and sparkling lights of Paris.